Being the oldest and most important festival in the Christian faith, there has been a lot of preparation in the Churches around us. Holy Week started with Churches covering artefacts in purple cloths and handing out palm crosses. For many it will finish with egg hunting and having an extra day off! 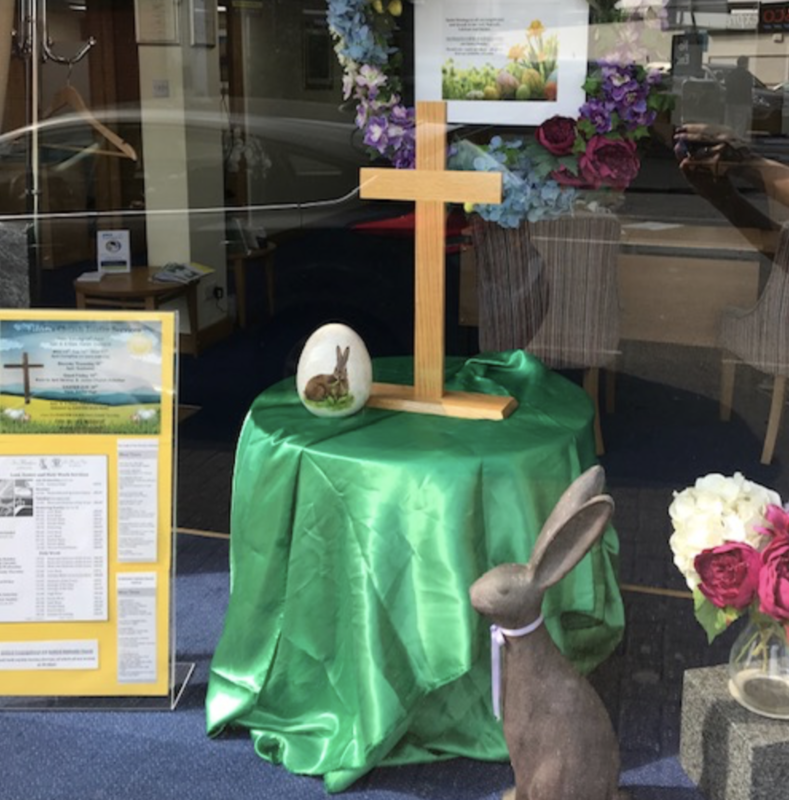 This year we have displayed all of our Local Church and Salvation Army Easter service times in our Ashford window should you wish to attend. All are very much welcome in any of the Churches. From Sandra, Penny, Vikki, Dominic and Victoria, we extend the warmest Easter blessings and good wishes to all.